Join our team for a growing company! Repair center for National Accounts and Manufactures. Training for the position will be provided. Able to read a wiring diagrams a must. For over 84 years, Carl’s TV has been servicing Electronics. Since expanding our service department at the end of 2010, we now have become the only factory authorized service center for Macomb, St. Clair, Sanilac, Lapeer,and Oakland Counties. 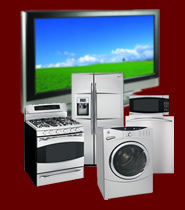 We carry a large inventory of electronic and appliance parts. As an Appliance parts wholesaler, you are always guaranteed the lowest pricing and free over night shipping. Our Factory Trained Technicians have the most up to date equipment for that quick repair of your Electronics and appliances. We supply software updates for those products needed in this ever changing world. All products are repaired in house and we have over the counter specialists that can answer any questions you may have. No need to call the manufacturer anymore. We are the manufacturer representatives so give us a call today and let our award winning tech center help you! Carl's TV has in stock refurbished TV's and appliances backed by an in-house warranty included in the price! TV's and appliances are rebuilt by our very own authorized technicians which results in a quality products you can rely on!. Or use our short form to ask us!